Is Nedbank: the Best Bank in South Africa? Apparently YES, that according to the global banking publication, Euromoney International Finance Magazine. And they scooped an award at the 2012 Euromoney Awards for Excellence Dinner in London. The stamp on their victory for being named the South African Bank of the Year for the year 2011 by the Banker Magazine and Sustainable Bank of the Year for Middle East and Africa for 2012 by the Financial Times and International Finance Corporation. Well Done to them. Praising South African banks' profits wears me down. It reminds me of the crazy bank charges and numerous penalties and high interest rates on debt, etc. But what can we do, the bank has done well regardless of how I feel. We can only make sure we get a piece of those profits through the JSE or investments and savings. The figures confirm that Nedbank did extremely well regardless of the global crisis. “It was a good year for South Africa’s banks. Bad debts were largely already cleared; percentage profit growth at the big four banks was in the twenties.” said Clive Horwood, editor of Euromoney. We are off course not surprised. 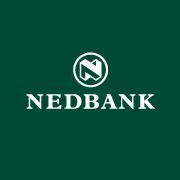 Nedbank reported a 26% growth and a 15.3% return on equity in 2011. Nedbank is further praised for investing in its staff. Thats great, I think. The chief executive, Mike Brown must have been over the moon when he said, "We pride ourselves on being a world-class financial institution and are deeply honoured by this award... We continue on our journey to become a great place to work, a great place to bank and a great place to invest.” *touching*. I guess you and me don’t care about Nedbank being named the Best Bank in South Africa or their profits, losses and amazing profits. What we want to know is what this means to us. What we should be doing is investing in the banks to get back our charges and some more. Crying about it will never help. Like I always mention, my Nedbank Just Invest gives me great interest. My small Nedbank shares give me great dividends. You should be investing where your money is taken too.